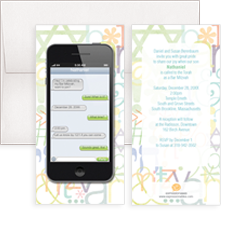 Provide us your child's Hebrew name, and we will add it your Bar Mitzvah invitation design - Free of charge! 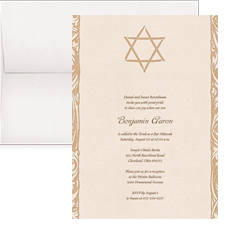 Want to see our unique designs and outstanding paper quality first hand? 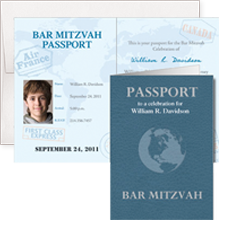 Request a sample of any of our products today. 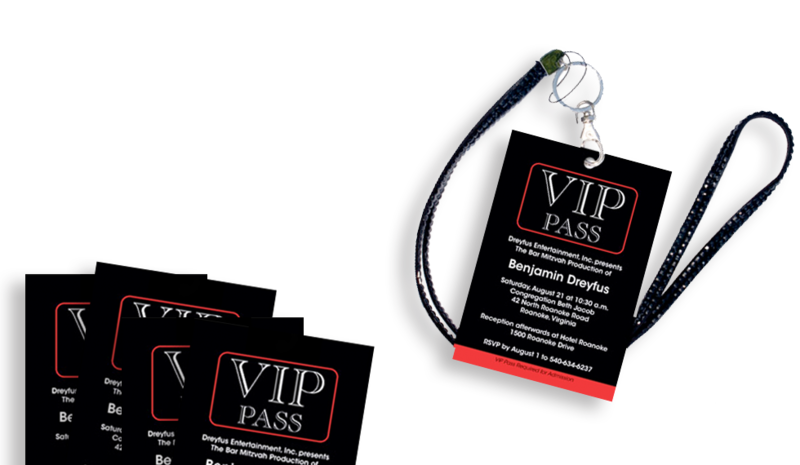 Click here for more reasons to choose BarMitvahCards.net. 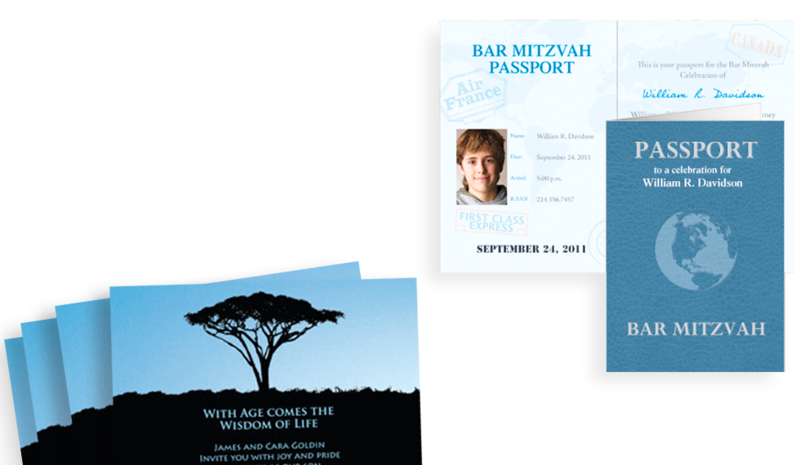 At BarMitzvahCards.net we know how special your child's Bar or Bat Mitzvah is. 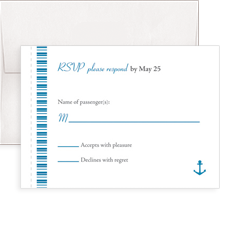 We want your invitation purchase and delivery to be simple and carefree. 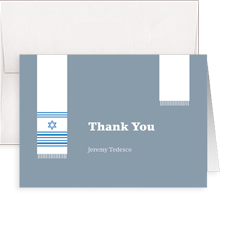 You can expect amazing ensembles, fast shipping, & outstanding customer service. 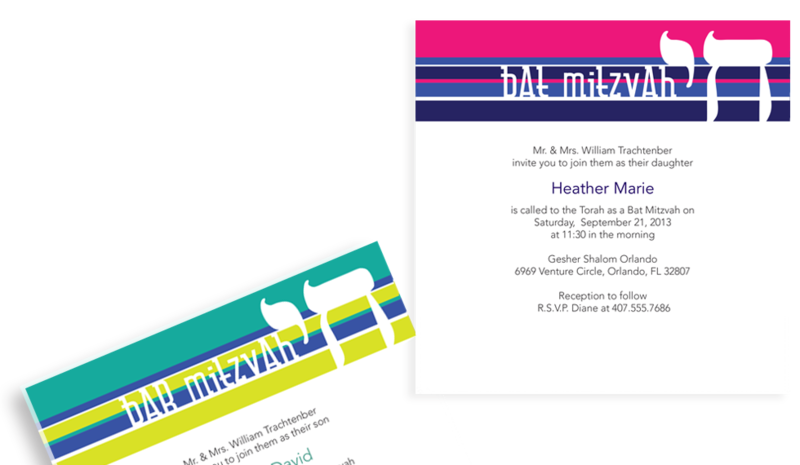 All of our Bar Mitzvah cards are printed on the highest quality cardstock. 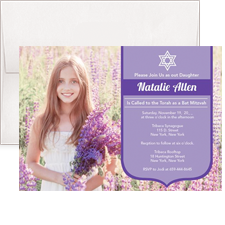 When you shop with us, your Bar/Bat Mitzvah party supplies will be perfect...guaranteed!